With the Home Exchange Program, you have the opportunity to travel to any destination you choose and essentially stay in someone else’s home of your choosing in exchange for them coming to stay in yours. 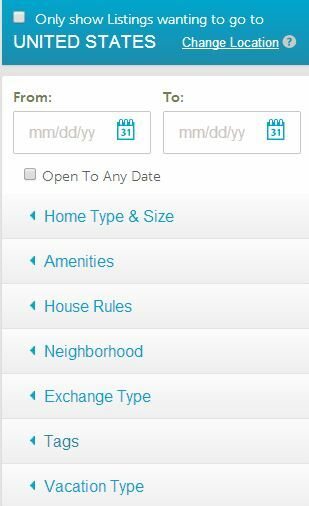 It is completely FREE to see what homes are offered in different areas and to see who your matches would be, but in order to actually be connected to the people willing to exchange properties, you must sign up with a yearly fee of $9.95 per month for a full year. This grand total comes to $119.40 and it is the only amount you will have to pay for services for the year to randomly pick and choose housing destinations throughout the year at any time in any place as many times a year as you choose! Normally, when you go on vacation, you spend anywhere between $100 & $500 for a typical hotel room, but with this program you have the opportunity to simply pay for an airplane ticket and have a place to stay in your destination for free!! I personally think this sounds awesome because you can live like a local in town and experience the culture and ways of life in the area as a normal resident would! This program is awesome in that there are over 50,000 listings in over 150 countries to select from! The thing that freaks me out about this program is I automatically think, is this even safe? The way I think of it is, when you are exchanging through this program, the information is out there about where you are staying and you are both entrusting each other to stay in one another’s homes. 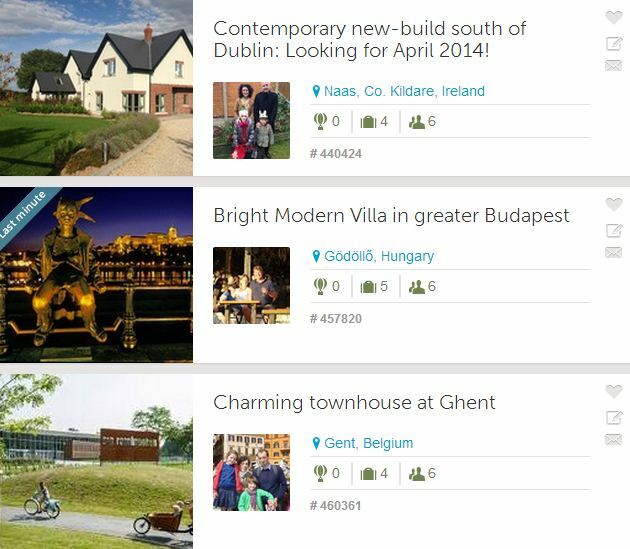 You also have the option to read reviews about the person willing to rent out their home, so you can see how they have interacted with people in the past. This factor does make me feel a lot better! There is also a profile verification process they must complete to share all of their personal information, such as phone numbers, social media, address, etc. just for extra safety. You can also skype or video chat with the tenant before doing a home swap to get a vibe for them as well. With this home exchange program, you are welcome to exchange any type of housing including condos, apartments, beach houses, cabins, villas, chateaus, and even RV’s and cars! 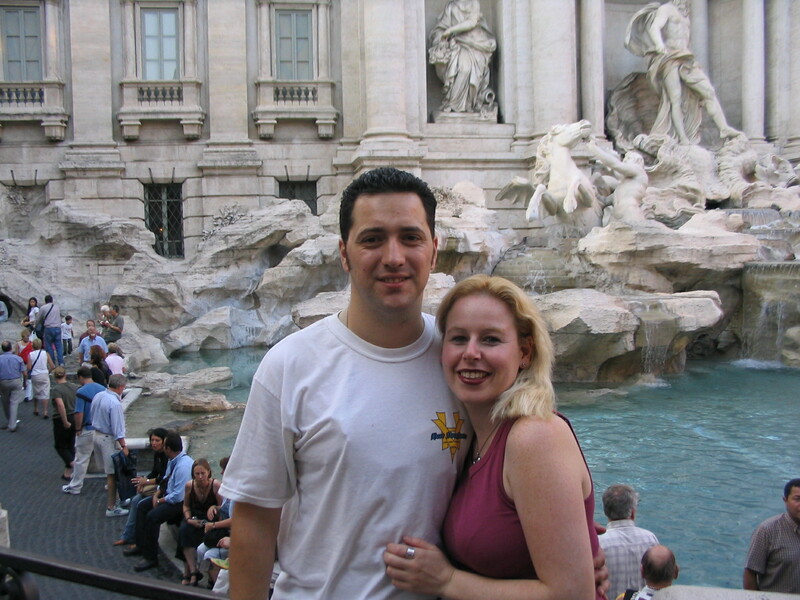 Trevi Fountain – We plan to renew our 10 year wedding vows next year in this very spot! Although I have personally never used the Home Exchange Program and cannot share my personal experience, I did rent apartments from locals years ago when I took a trip to Italy. 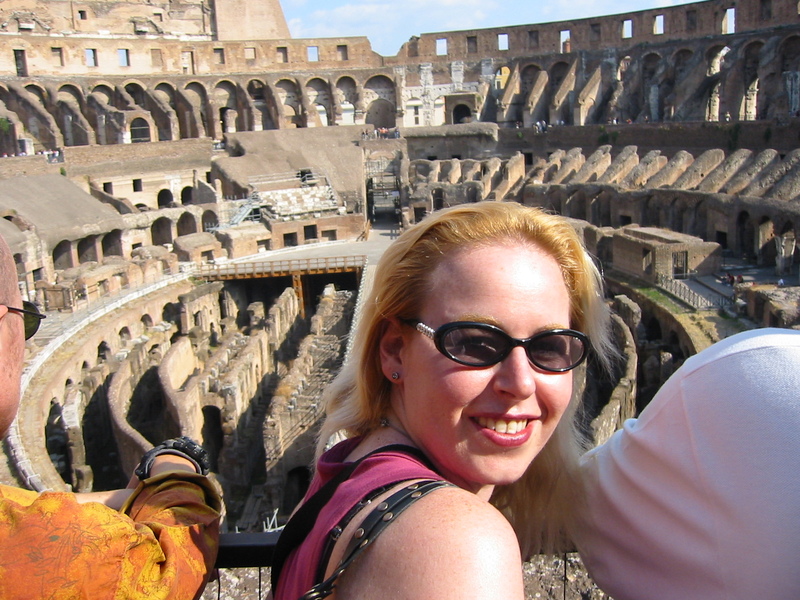 I used a website that no longer exists, but I thoroughly enjoyed our apartment in Rome in which we actually met with the tenant to get the keys. We were in the heart of the city located by the Pantheon and it was such a fabulous experience! See my pictures below. 🙂 I do plan to check out this program and use it myself soon! The way I see it, I normally spend about anywhere from $300-$1200 dollars on a flight depending upon where I travel and I usually pay about $300/night on my hotel room. Therefore if I went somewhere for a week, I would normally spend about $2,100 on my hotel alone, bit with the Home Exchange Program, all I would be paying for is my flight, so the $2,100 I would be saving on hotel fees would still be more money than I would need for food and activities! This situation definitely sounds like a win-win! If you have ever used the Home Exchange Program, please tell me about your experience below! I would love to hear about it! 🙂 Cheers to traveling like a local in a different region & saving a mass amount of money! Very nice, home exchange program for favorite place with no cost! Great idea. I have heard a lot about this lately! Sounds like a wonderful idea especially if you happen to live in an area that others would like to travel to. It sounds like it could save you a lot of money! Thank you for sharing this! This is an awesome idea! I never would have thought of this but it sounds very profitable! Thank you for sharing this I would love to try sometime! I have never heard of this type of program. Thank you for sharing. I will check it out. I love this idea. Not sure how many would want to stay at my place, but great idea! I am still nervous to try the home trade, but i do love renting other people’s homes. We may have to try it one time.